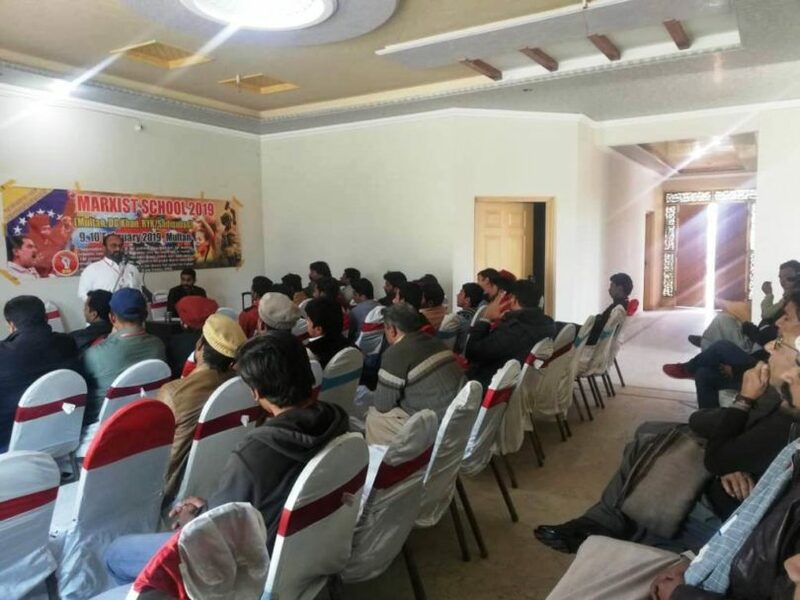 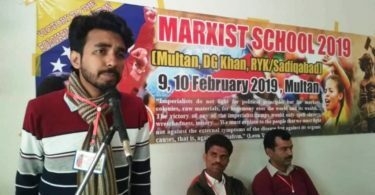 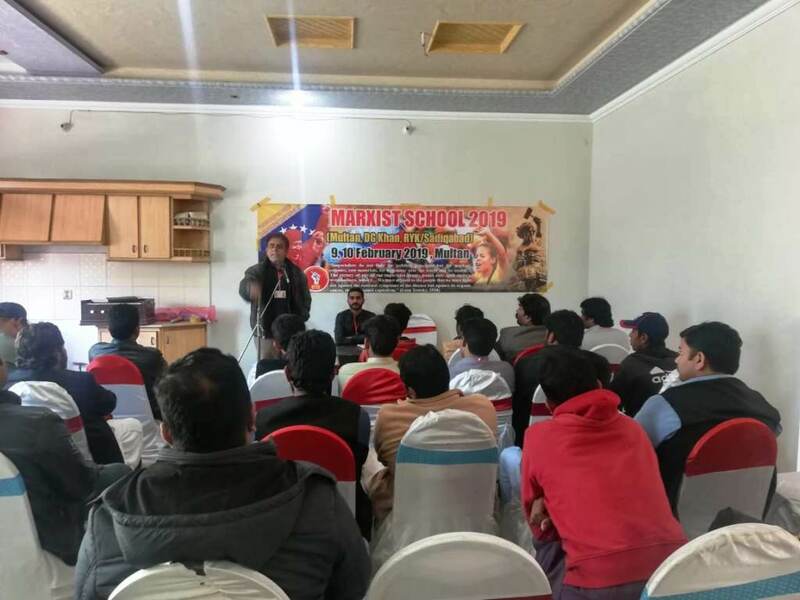 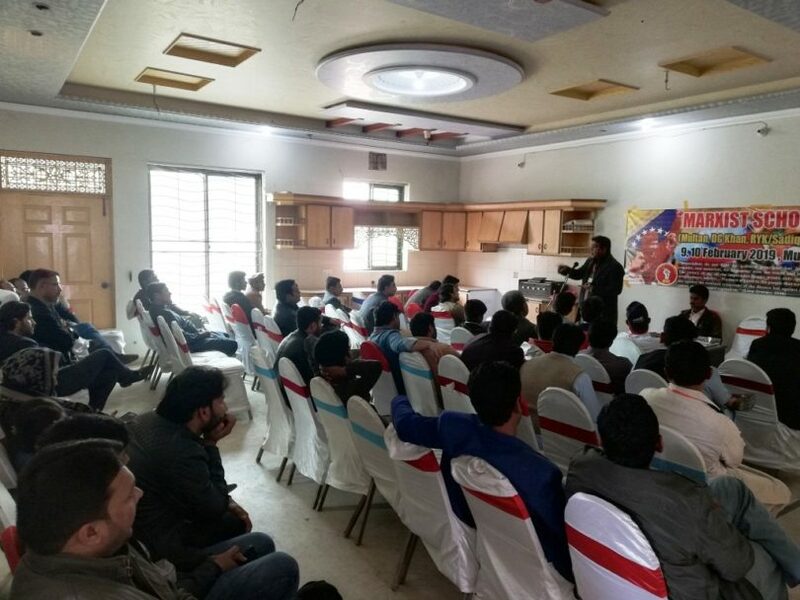 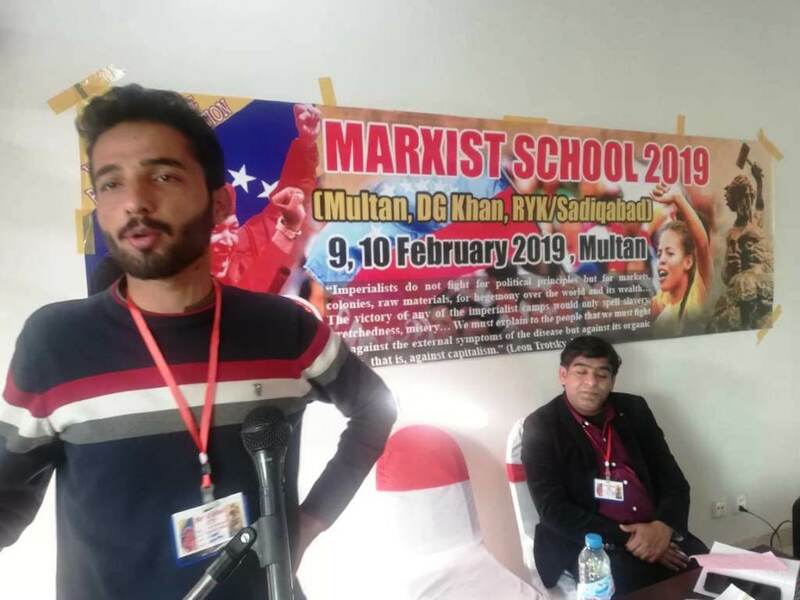 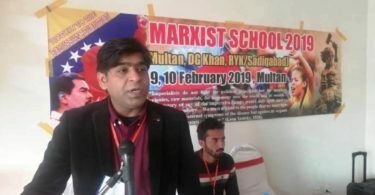 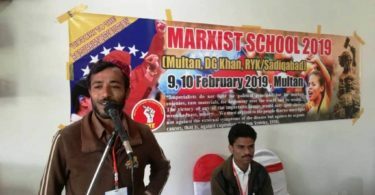 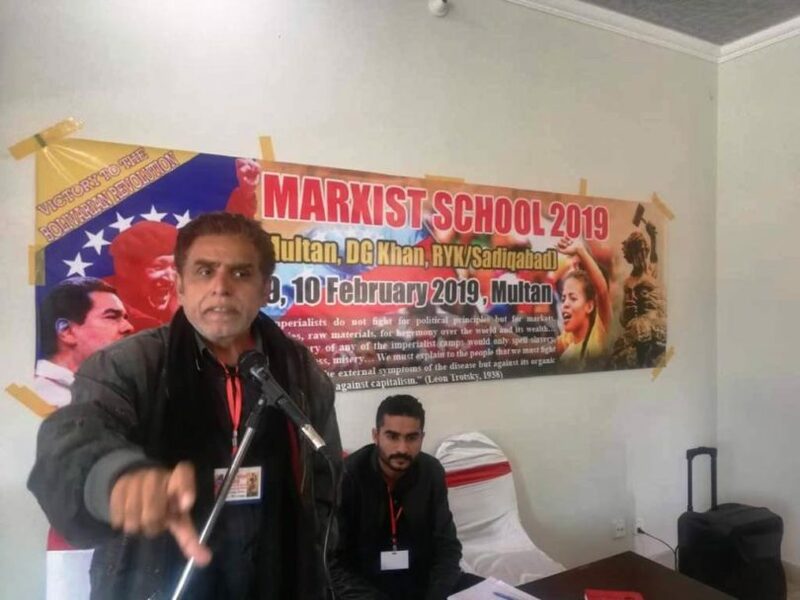 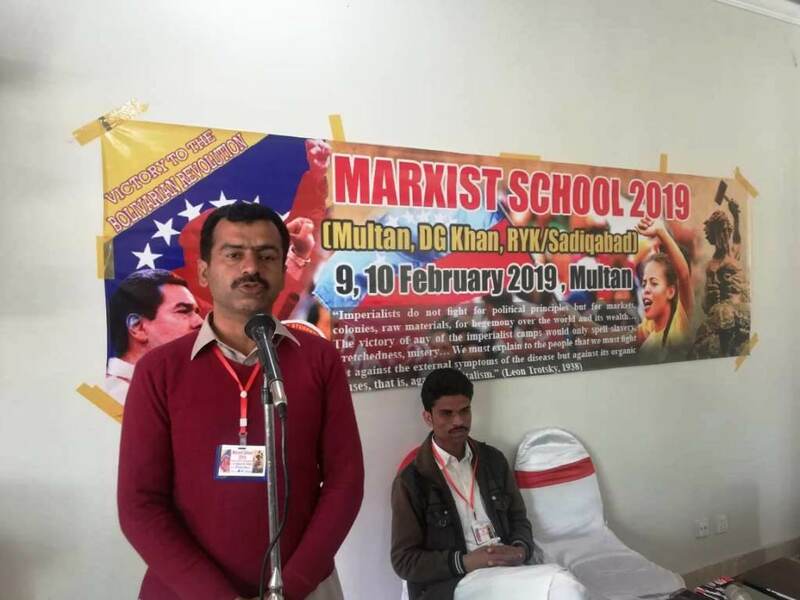 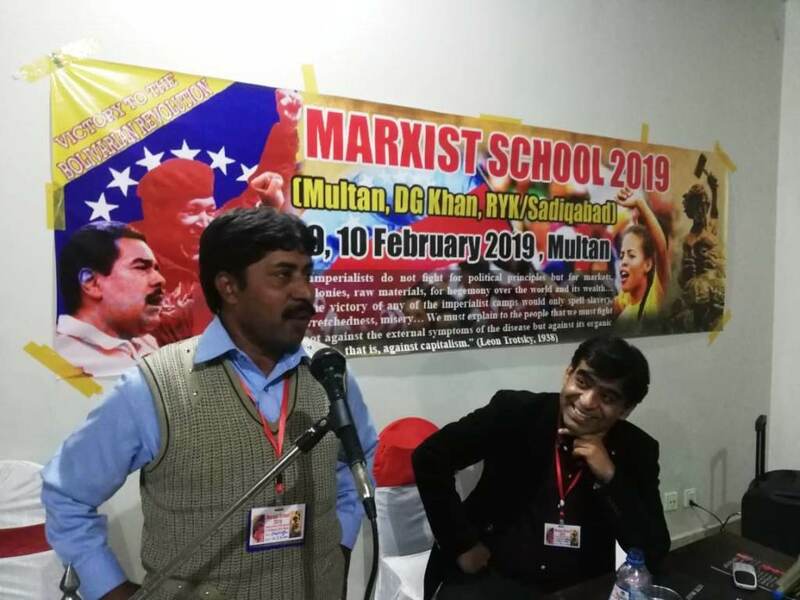 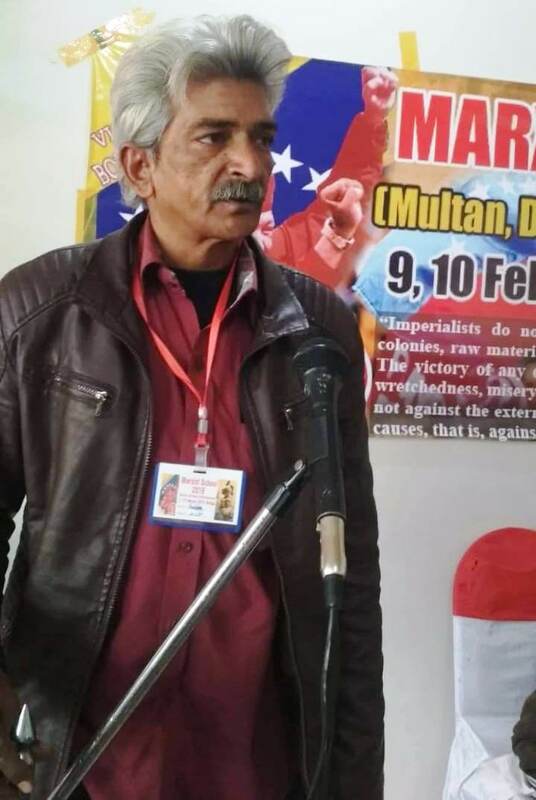 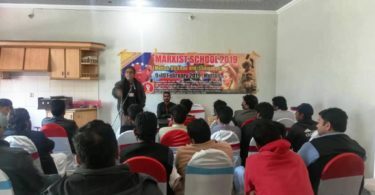 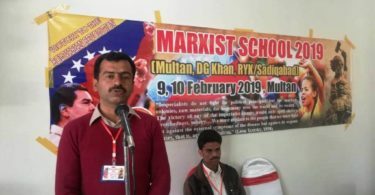 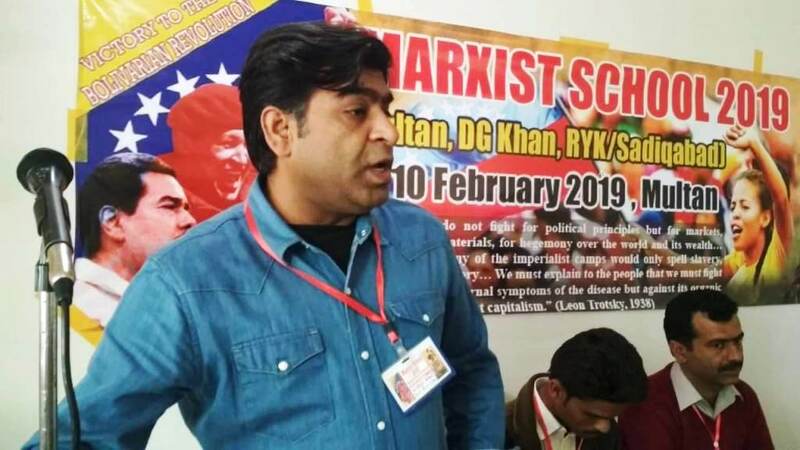 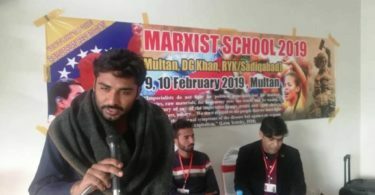 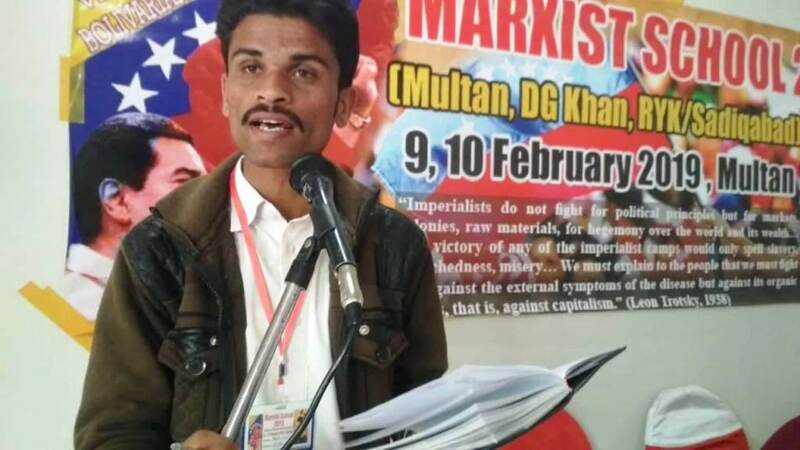 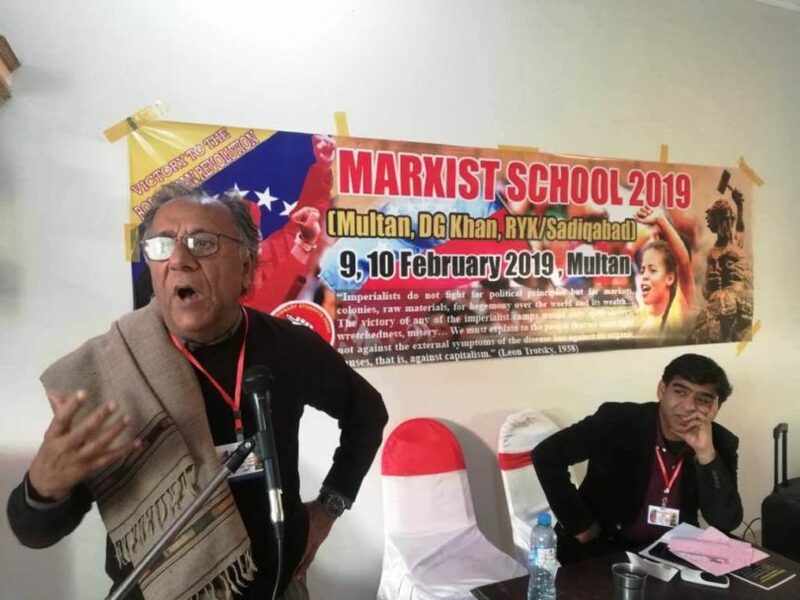 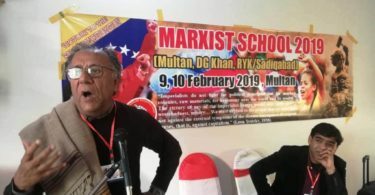 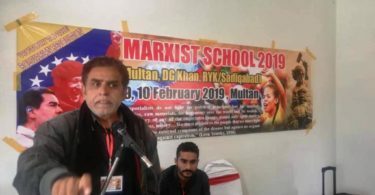 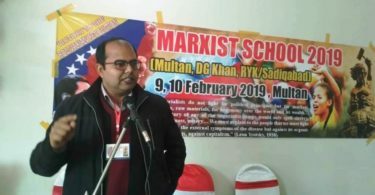 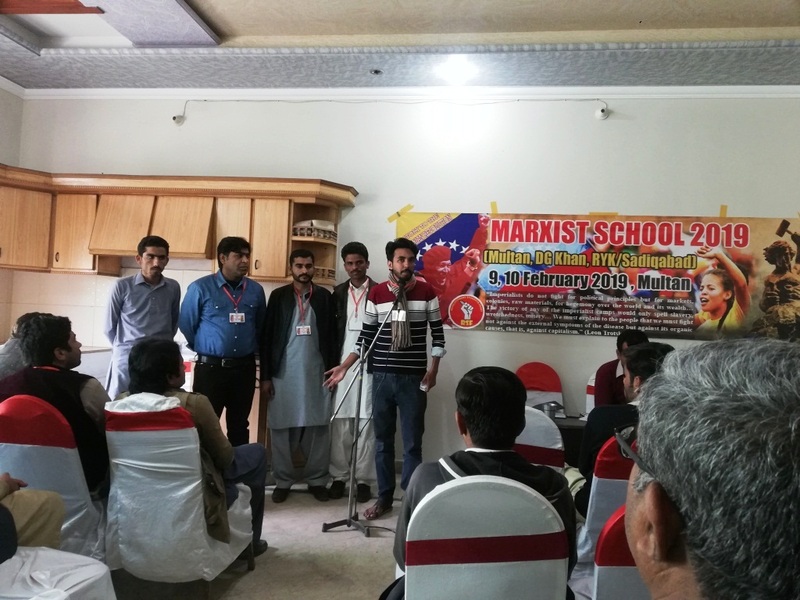 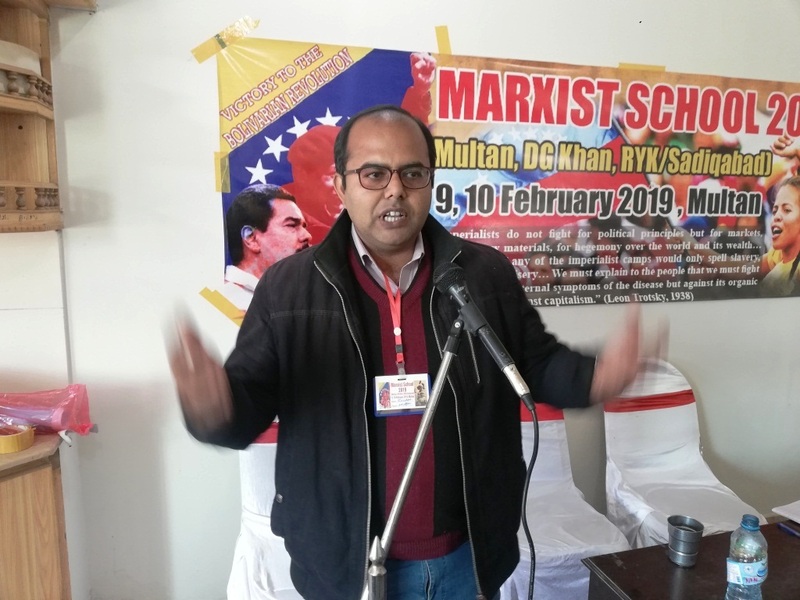 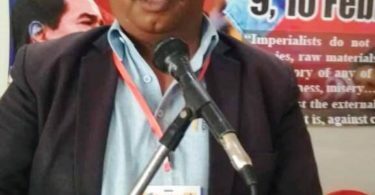 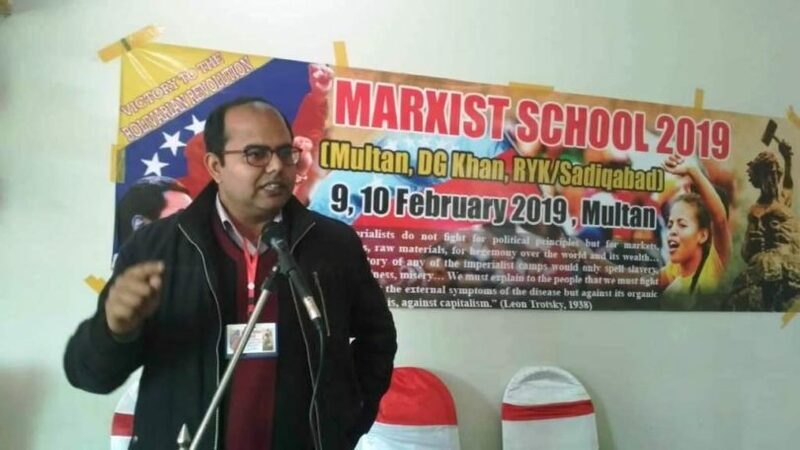 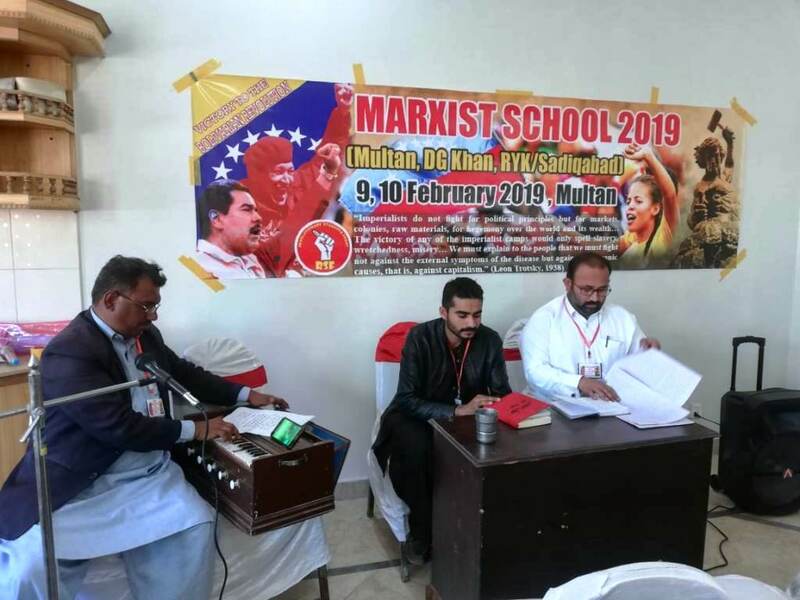 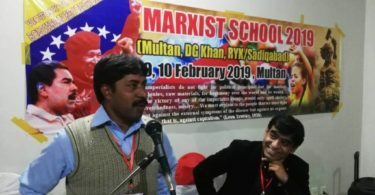 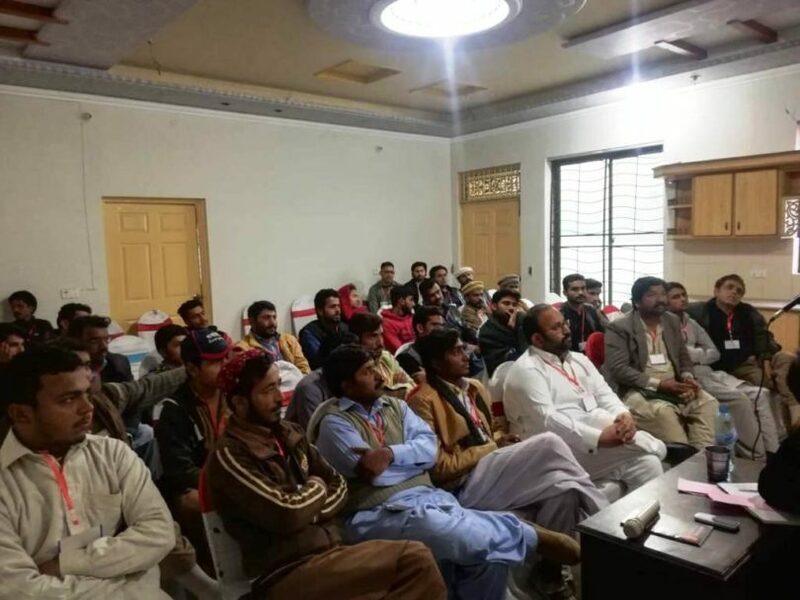 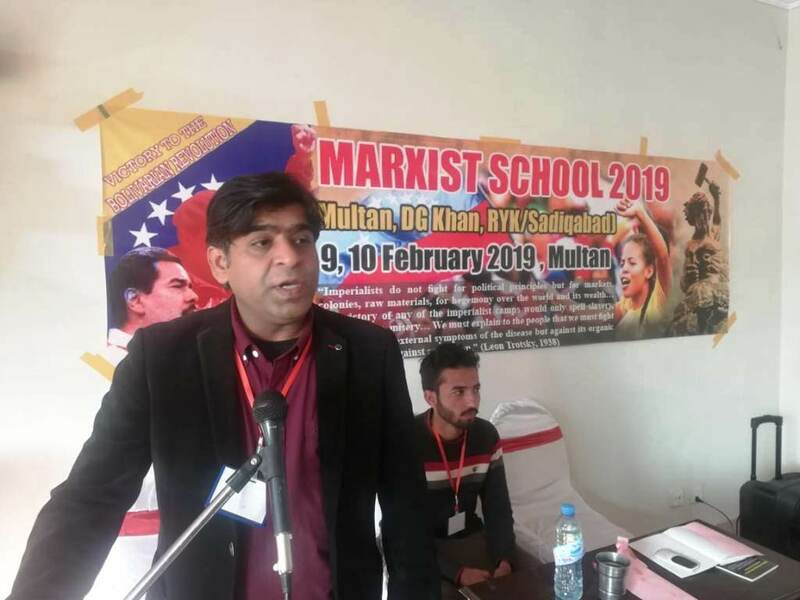 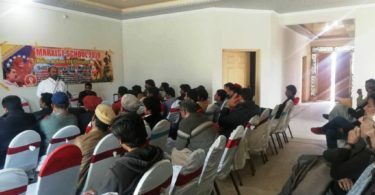 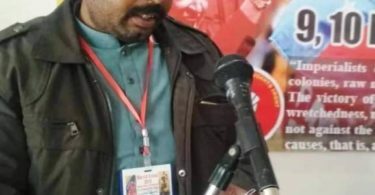 After Quetta, Mirpurkhas and Islamabad, two days interregional Marxist school was held at Multan on 9th and 10th February 2019. 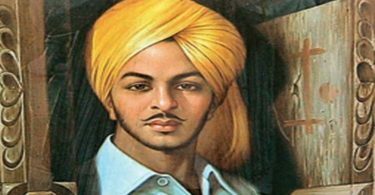 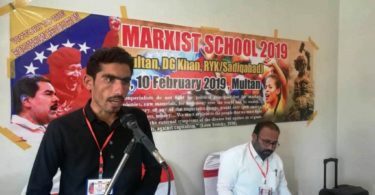 More than 60 revolutionary youth from far–off places including Jampur, DG Khan, Layyah, Ali Pur, Rahim Yar Khan, Sadiqabad and Multan participated in the school. 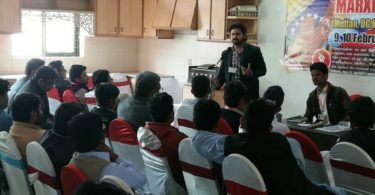 Nadeem pasha from Multan opened the school and welcome the participants and explained the importance of the school in current political and economic conditions. 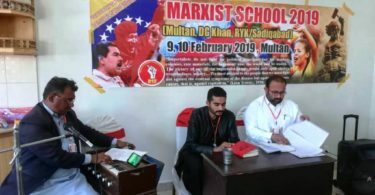 The school was consisted of three sections. 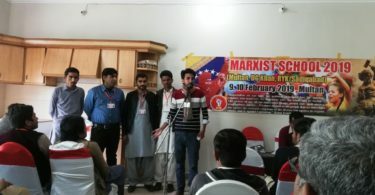 The first session was on the World and Pakistan Perspectives. 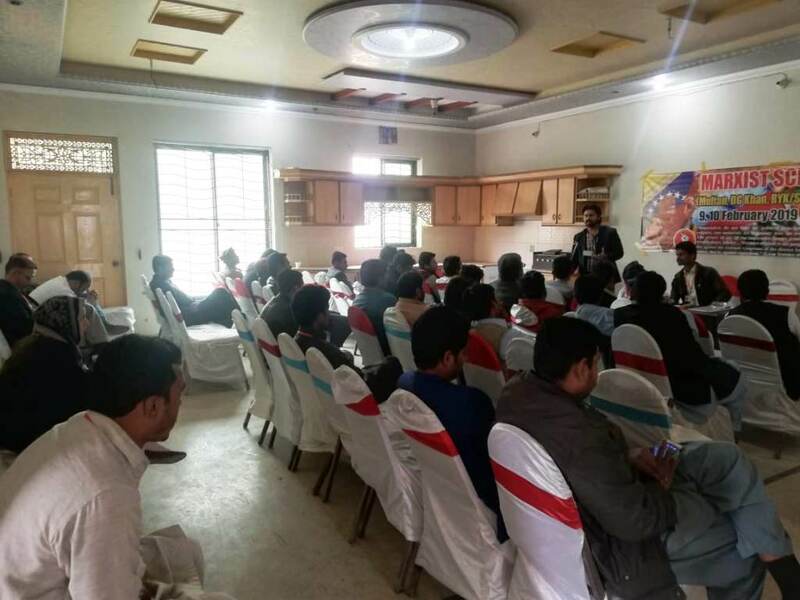 Suqrat from Jampur led the discussion while the session was chaired by Sajid from Multan. 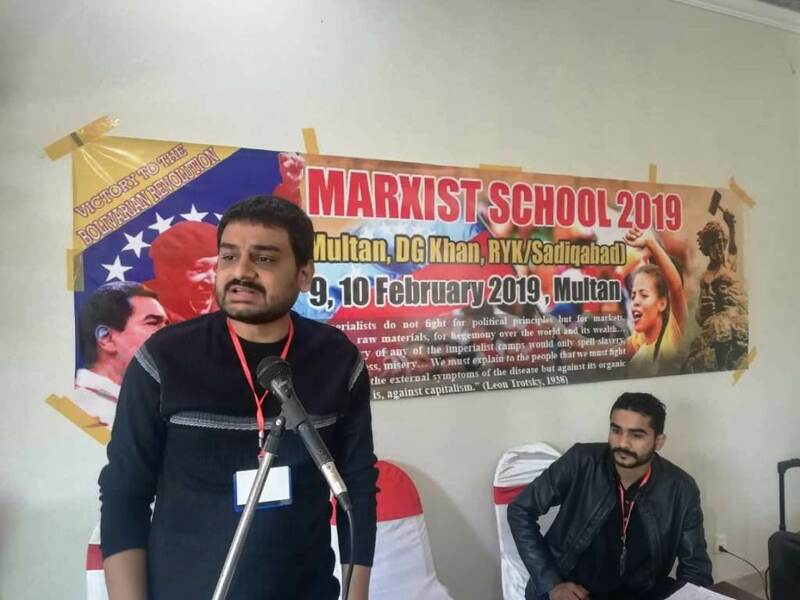 Suqrat talked about the increasing global economic fall of capitalism and the current political situation of China, America and worldwide. 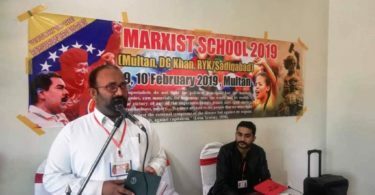 In addition, he talked about emerging movements like “ Yellow Vest” and strongly condemned the imperialist aggression in Venezuela. 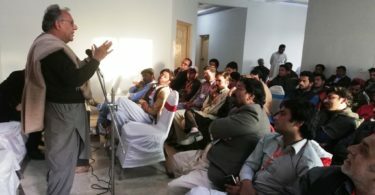 He also discussed Pakistan’s economic decline and political development. 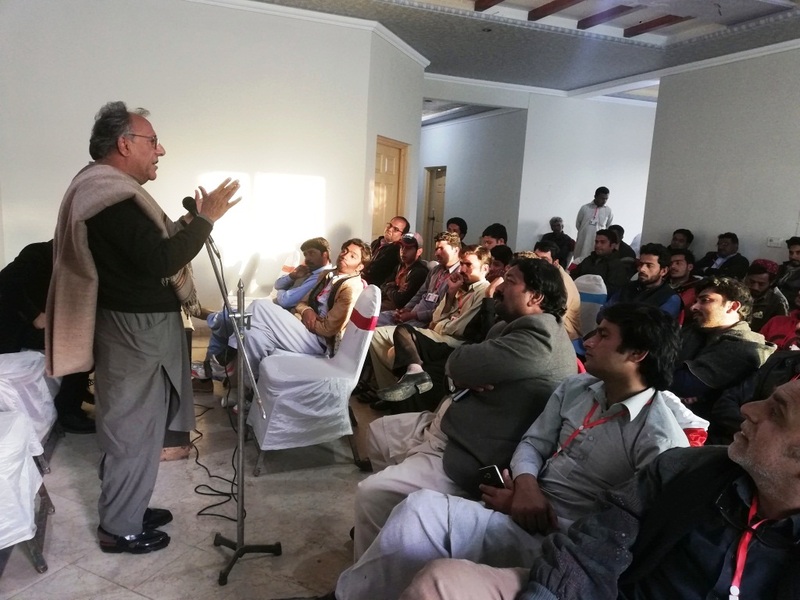 The society is suffering from stress, helplessness, and insecurity, he said. 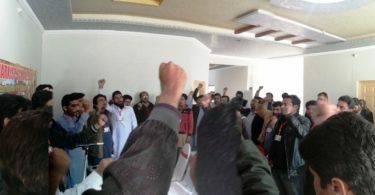 After the leadoff questions and contribution session started. 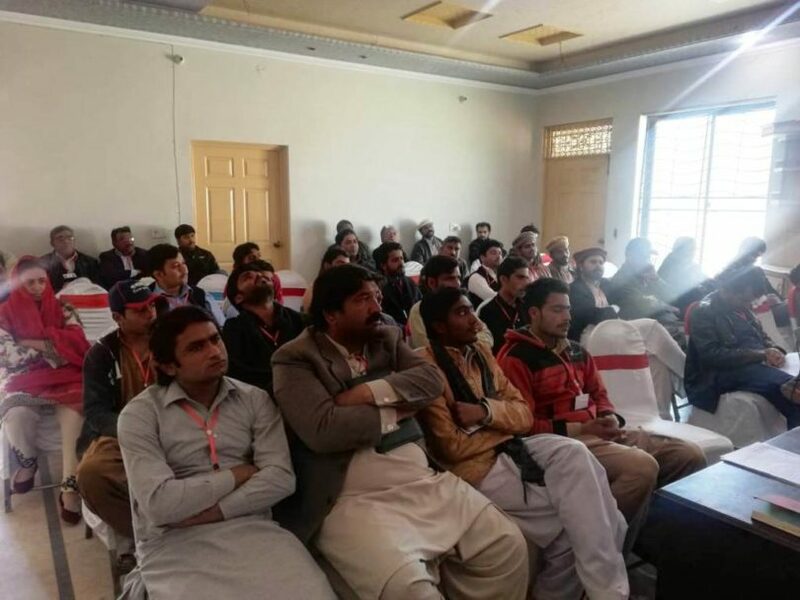 Altaf, Saif, Ishfaq, Hyder Chugtai and Imran kamyana took part in the discussion and Zeeshan Shehzad summed up the session in the light of questions. 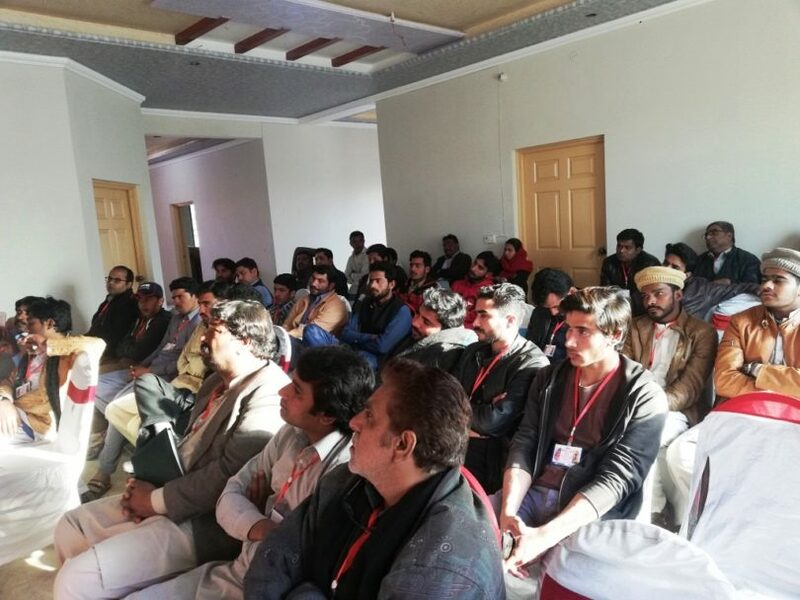 After a lunch break 2nd session on “Socialism and Art” started, Masood from Rahim Yar Khan chaired the session while Nadir Gopang from Multan led the discussion, he discussed art, socialist art, the evolution of art, the role of art in society and defined the communist policy towards art. 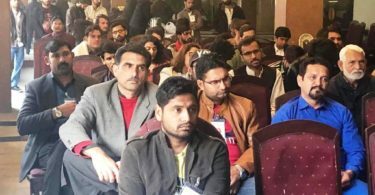 Hyder Abbas, Rafique and Imran kamyana also took part in the discussion and Shahryar Zoaq summed up the discussion in the light of questions. 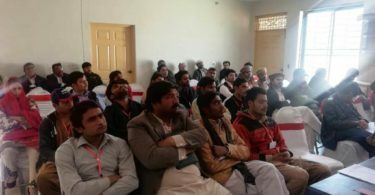 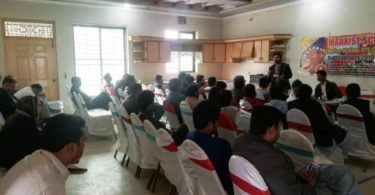 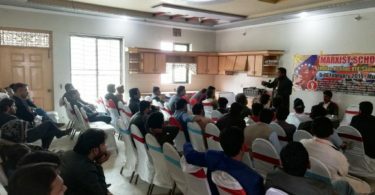 Next morning, 10th February, the 3rd session on “History of Students Politics” was led by Raees Tariq from Rahim Yar Khan while Basit from Jampur Chaired the session. 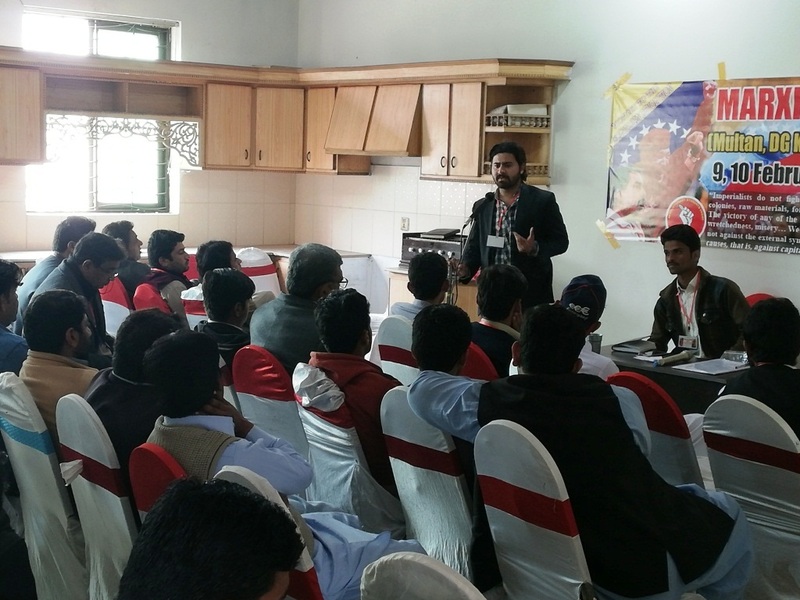 Raees discussed the role of youth and students in the movements throughout the history of Pakistan. 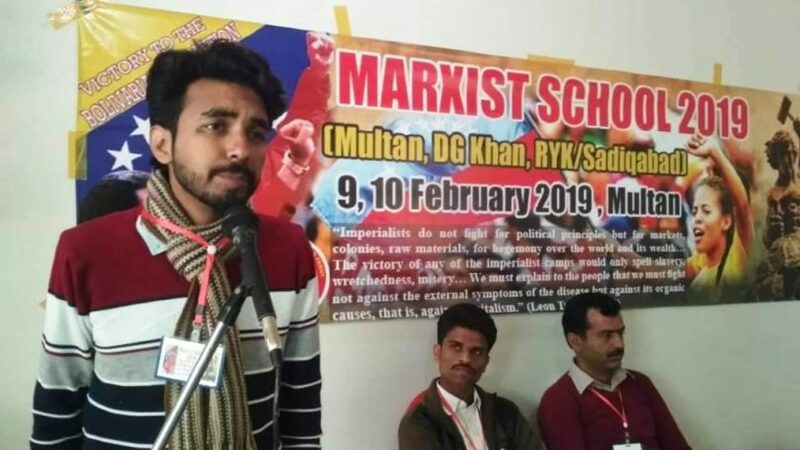 The ban on students union resulted in the decline of over politics and rise in the use of drugs, he added. 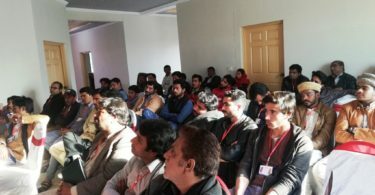 Afterwards, Tariq Chudary, Nadeem Pasha, Nadir Gopang and Hyder Chugtai took part in the open discussion. 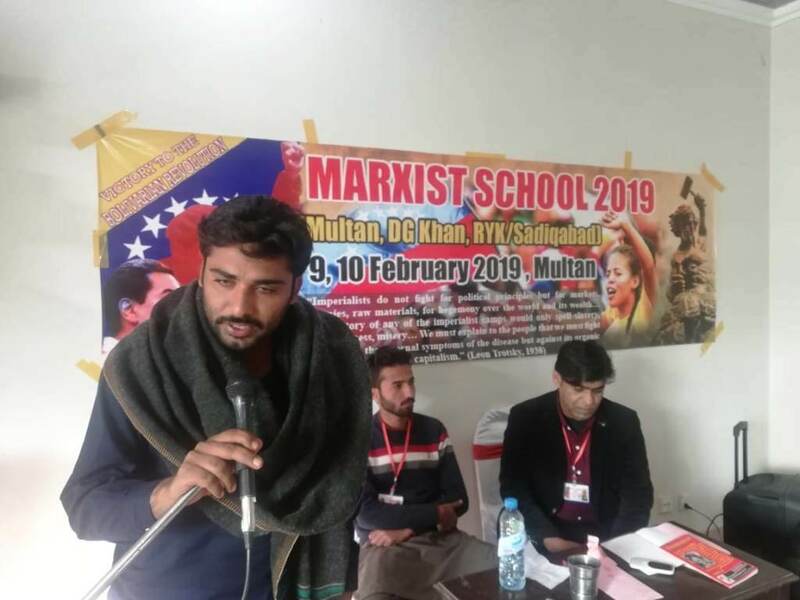 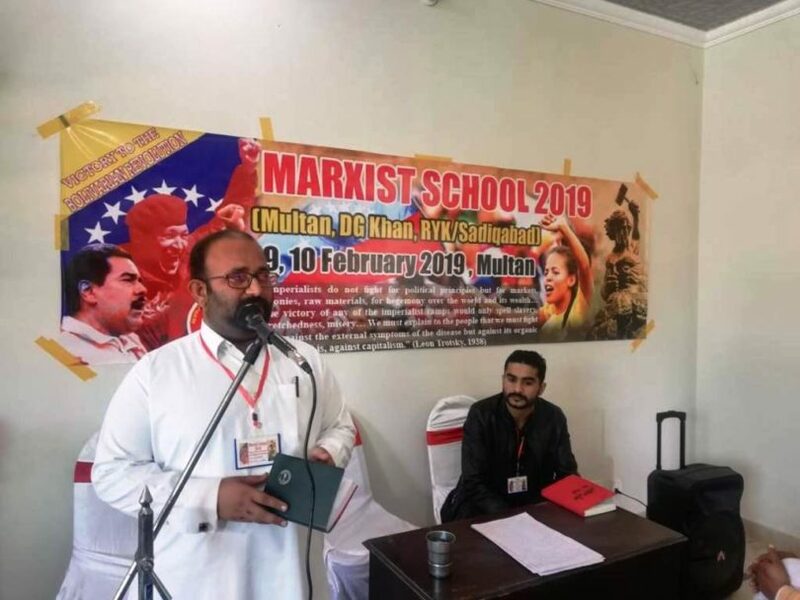 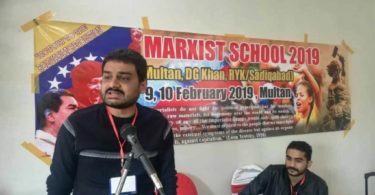 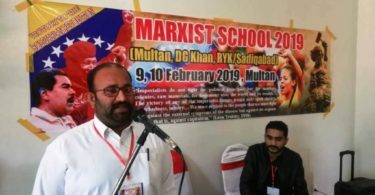 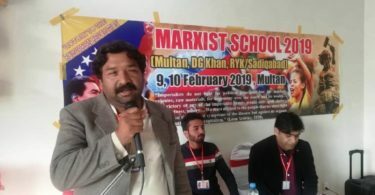 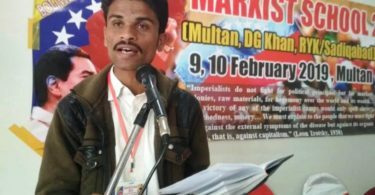 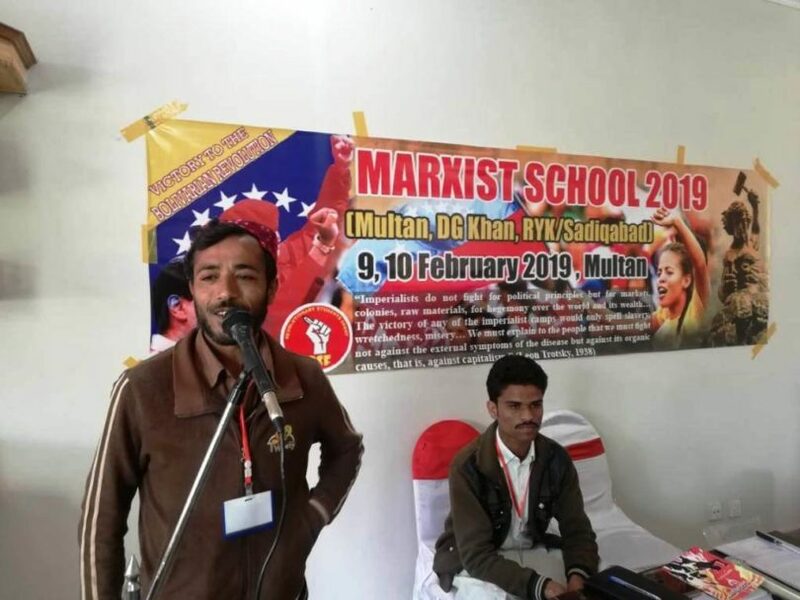 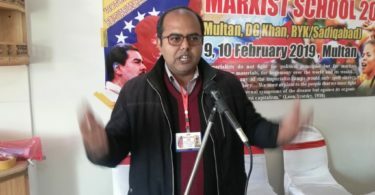 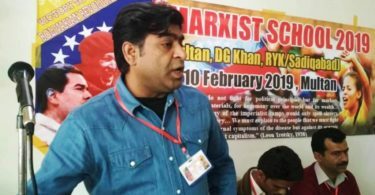 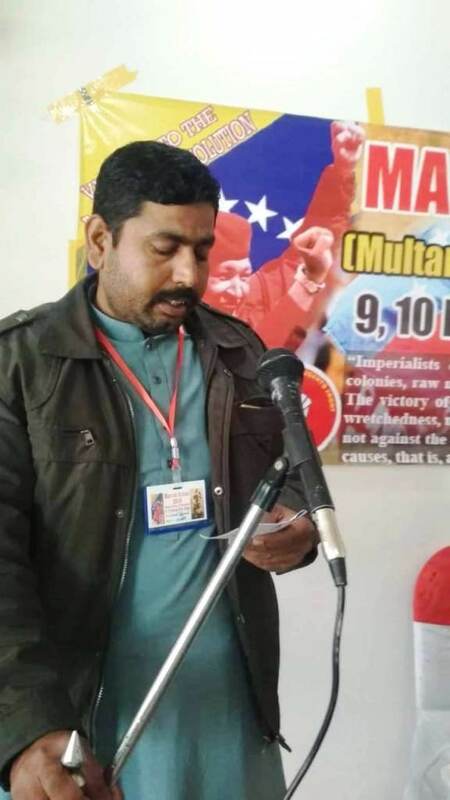 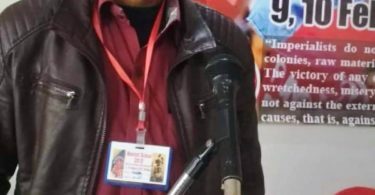 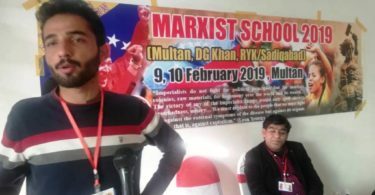 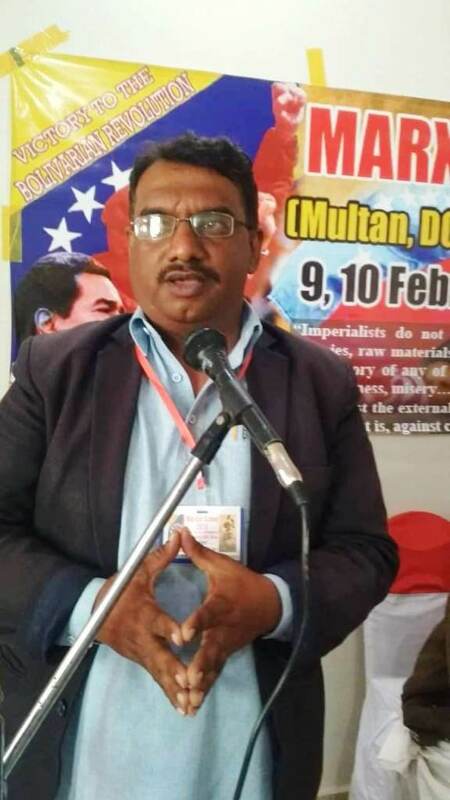 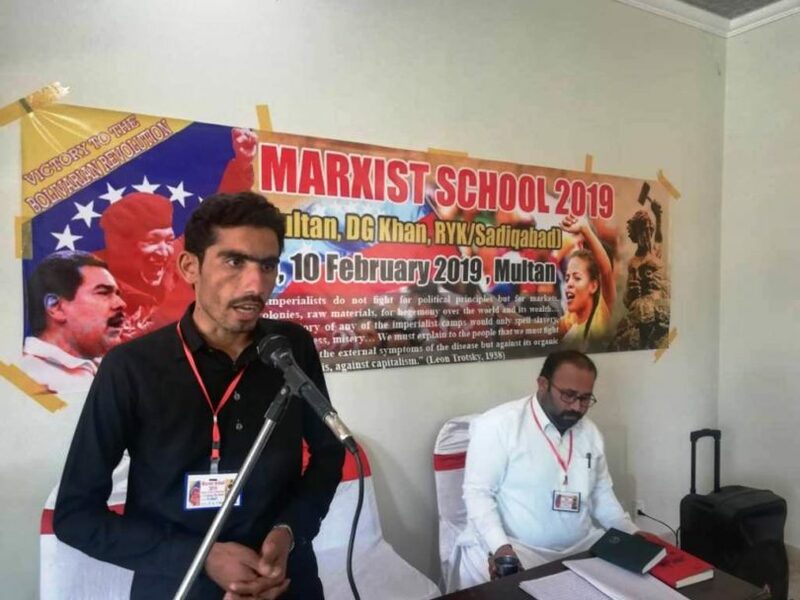 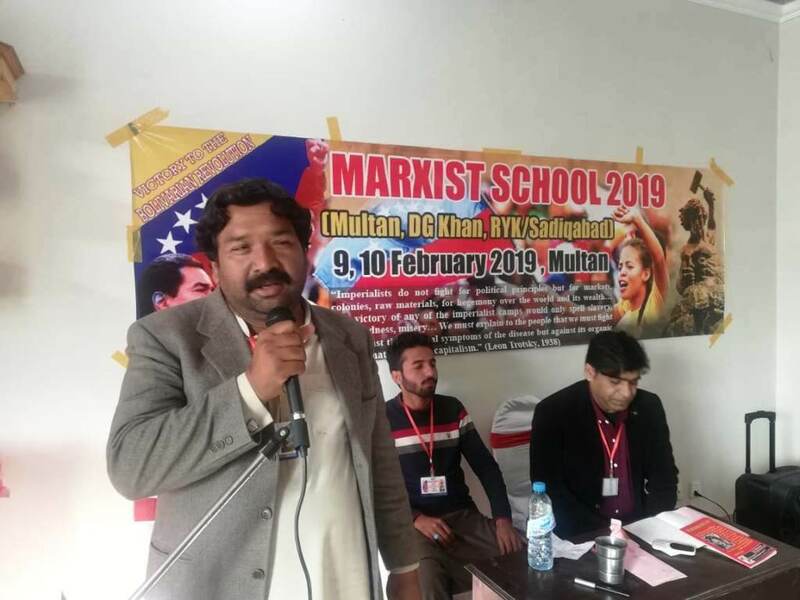 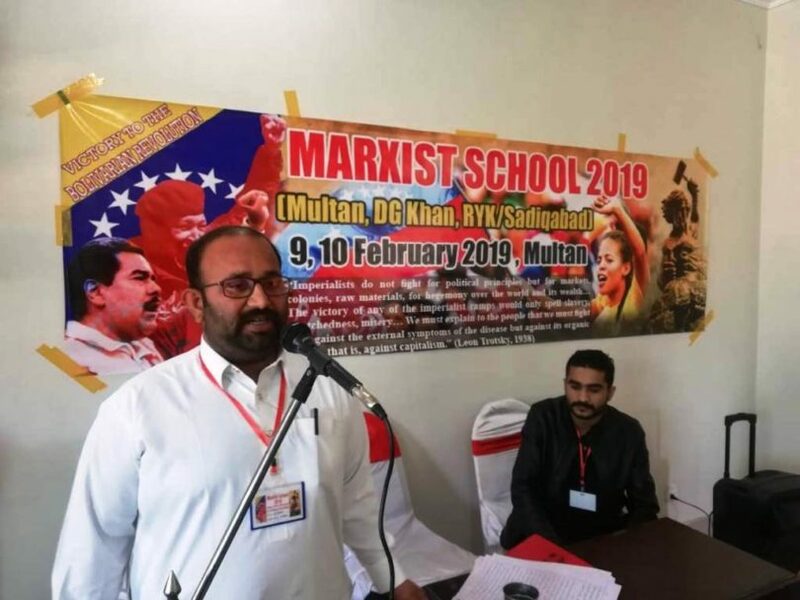 Ameen Baloch presented the school finance report and the Two Days inter-regional Marxist School concluded with the Workers’ Internationale.